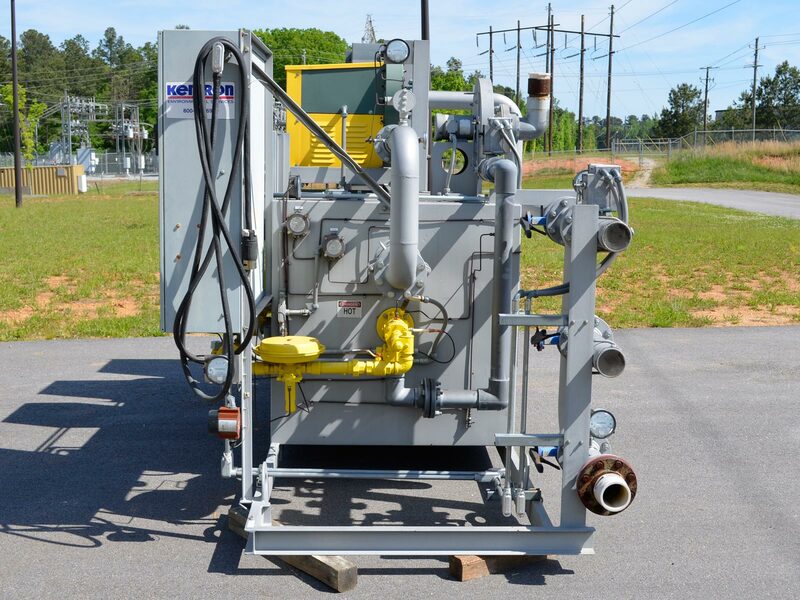 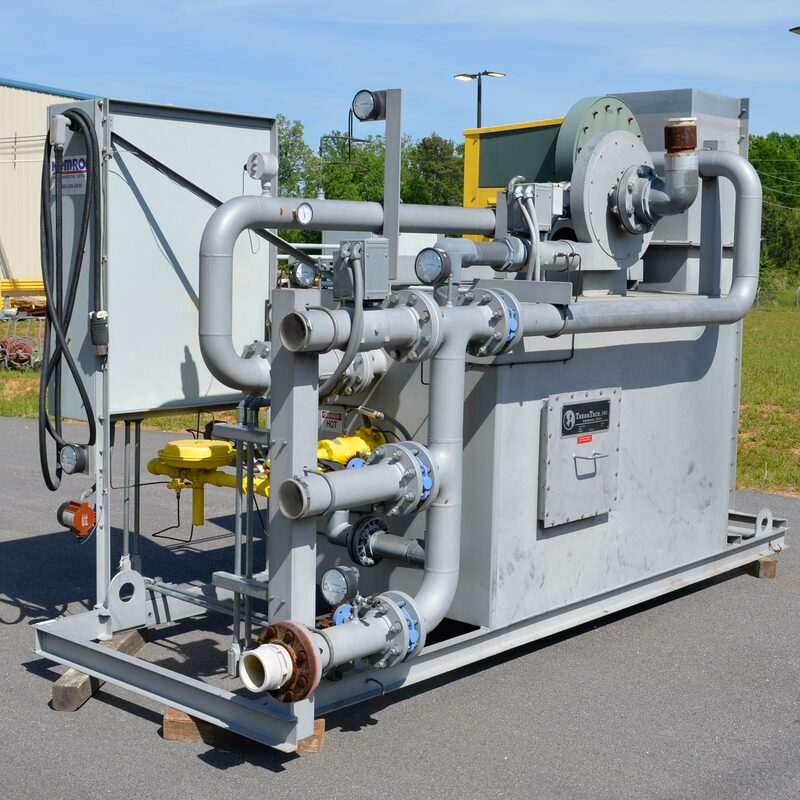 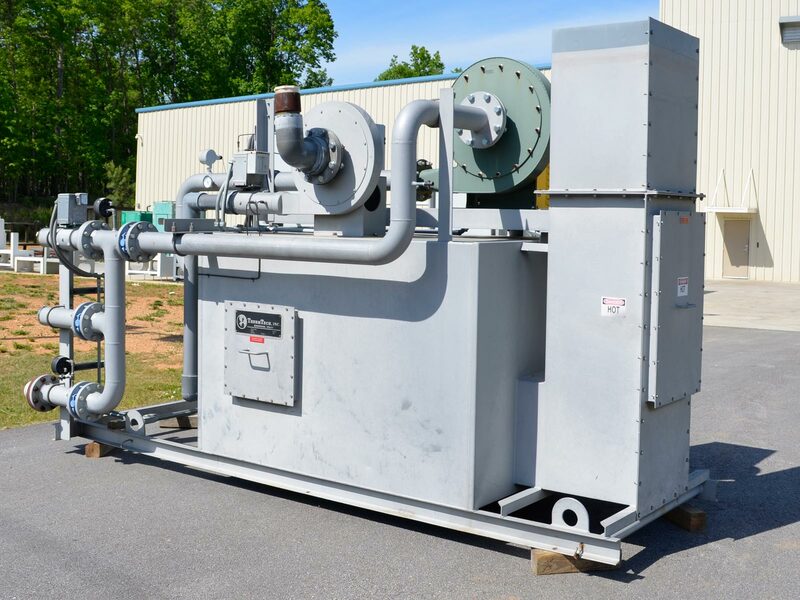 ThermTech VAC50 Thermal Oxidizer - For Sale or Rental - pdblowers, Inc.
ThermTech 913/1262 VAC50 system with 500 scfm oxidizer. 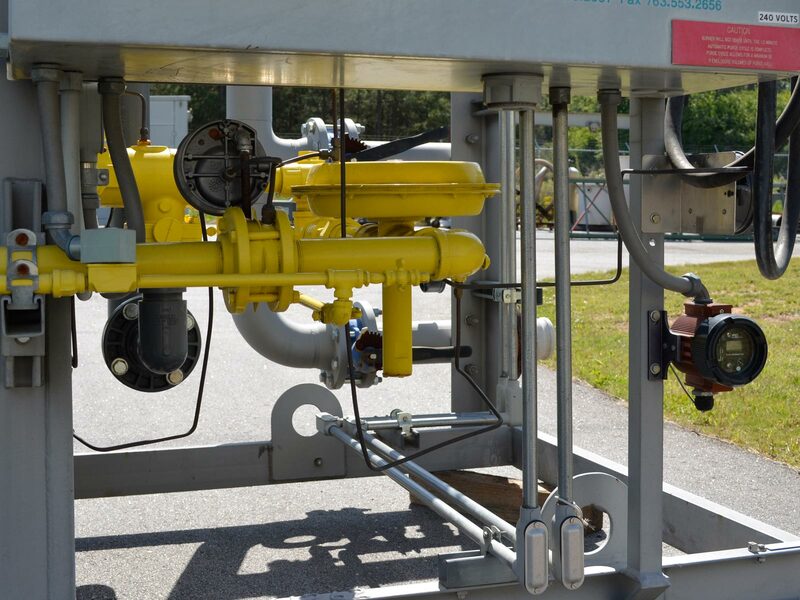 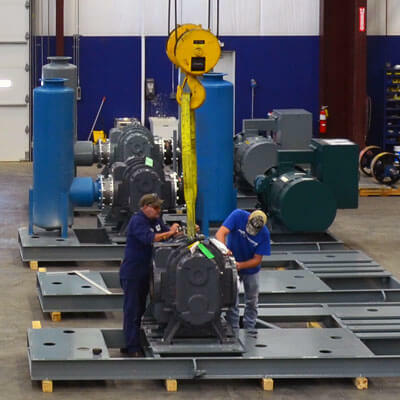 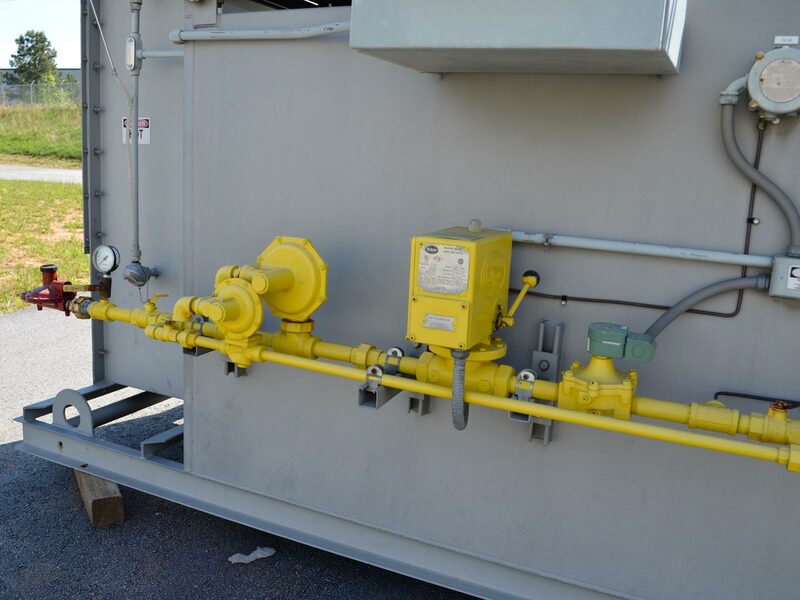 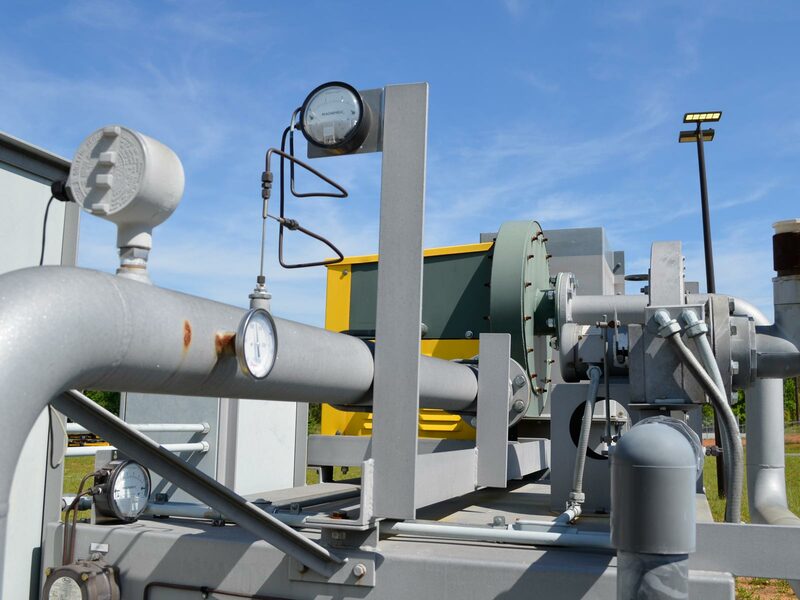 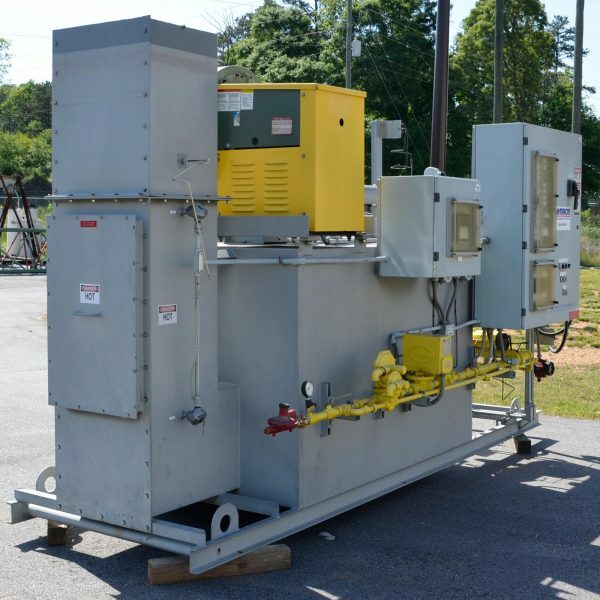 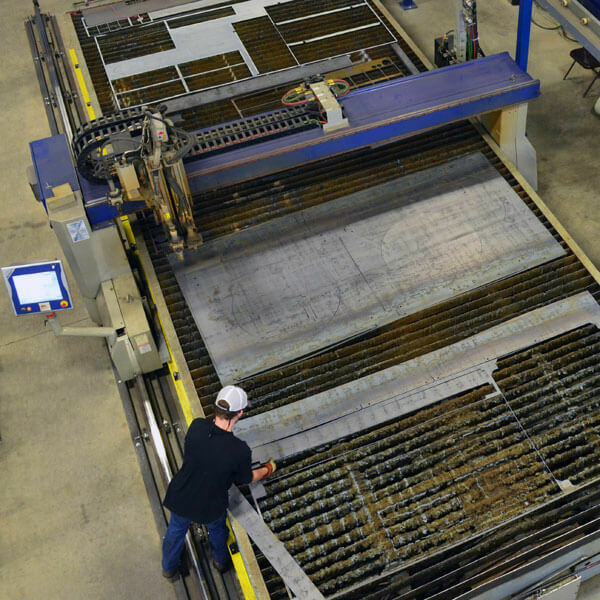 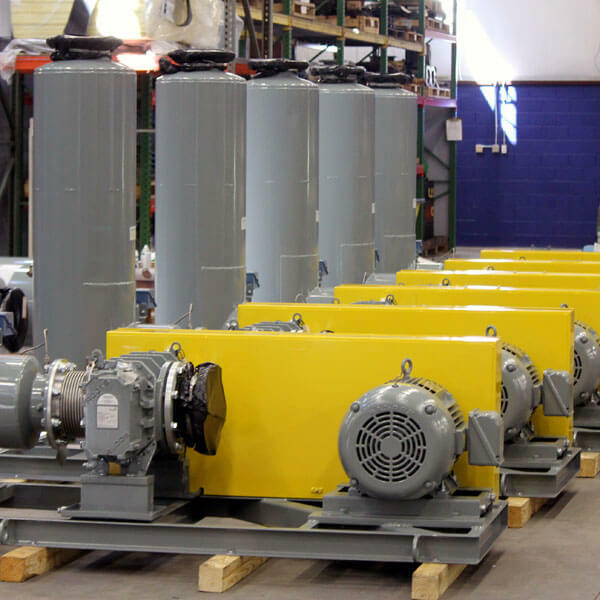 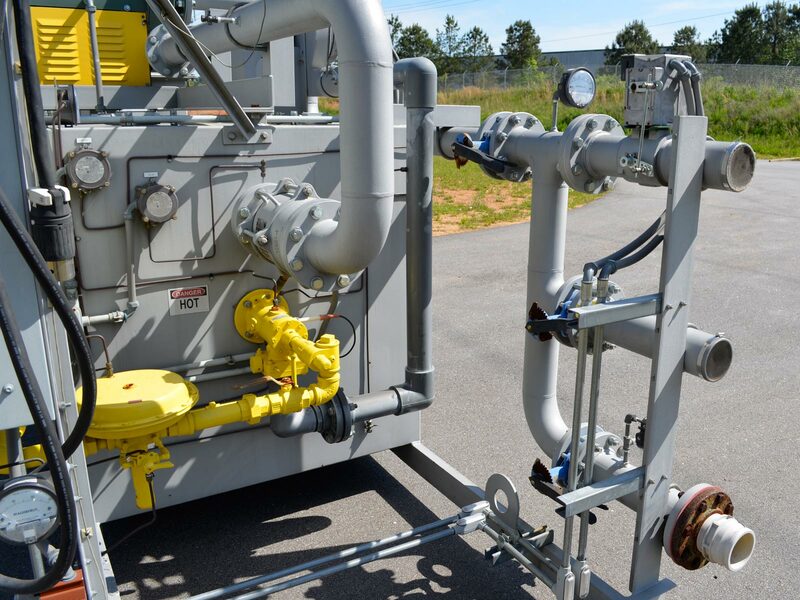 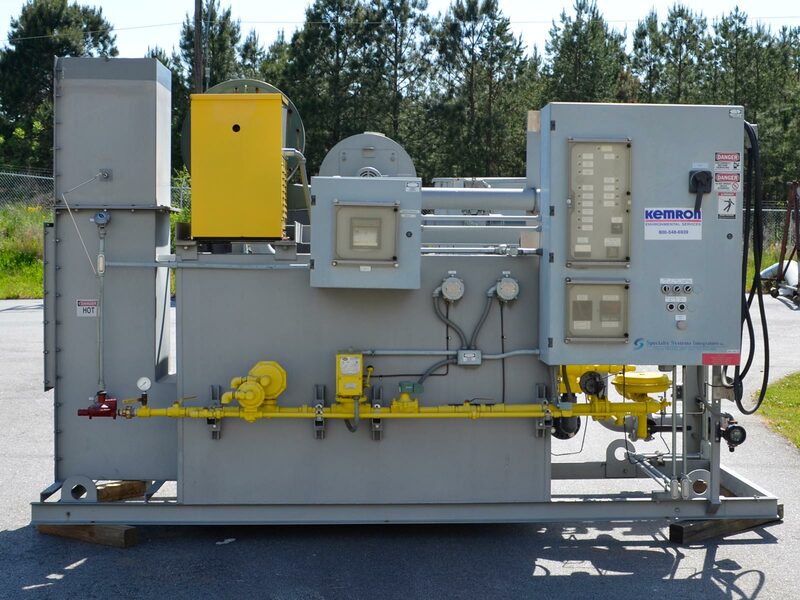 This system incorporates a process booster blower which picks up the process flow at the skid edge and boosts it through the pressure drops of the thermal oxidizer skid. 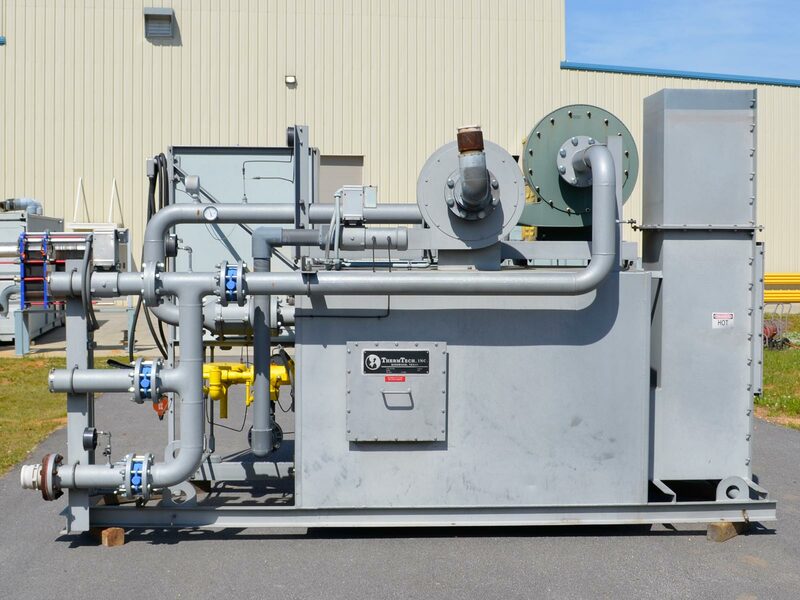 Depending on the application, a process blower may be required to pull vapors from the process and get them to the oxidizer skid. 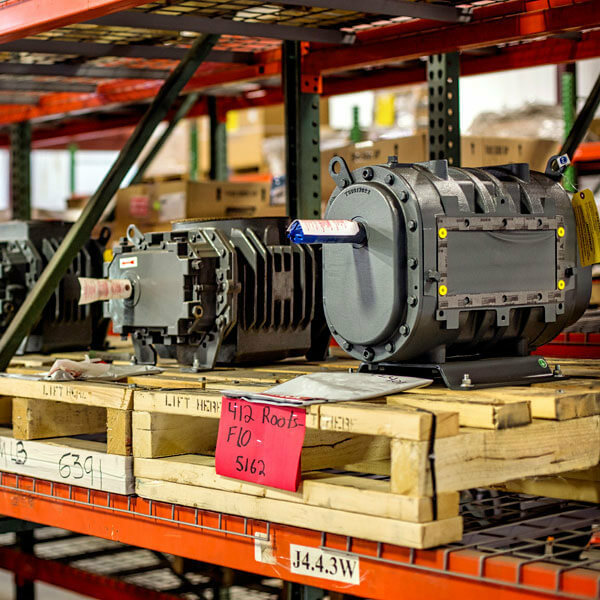 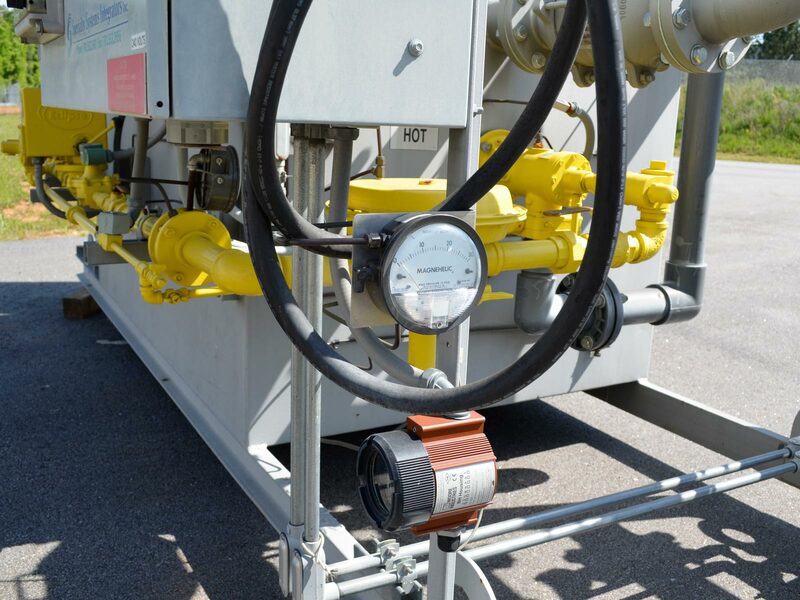 Fuel gas requirement is 1.5 mmBtu/hr @ 5 psig of either natural gas or propane.